Shop Now for this "As For Me And My House We Will Serve The Lord" - Joshua 24:15 Vinyl Wall Decal. 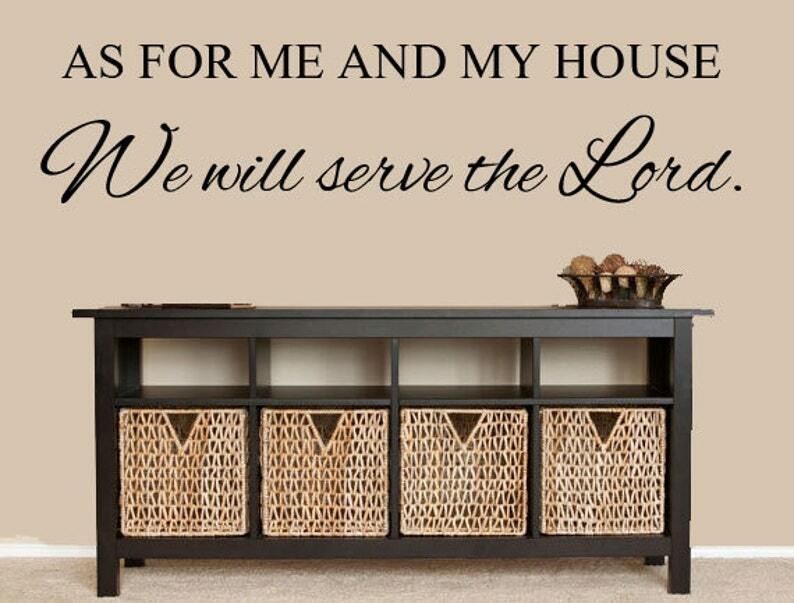 This decal is a great way to express your faith in your home. The size of the decal is 36 inches wide by 10 inches in height. Please note the size of this listing as the picture may not show the size to scale. Bible Verse Decal - Philippians 4:13 Vinyl Wall Art Decal - I Can Do All Things Through Christ Which Strengtheneth Me.